Relationships are challenging! What if you had a lens to look through, where you could see your partner clearly, in a way that allowed for more love and connection? What if it helped you have have fewer fights and made it less likely you’d become one of the 50% of marriages that end? This conversation gives you that lens and helpful frameworks for a relationship that lasts! If you’re satisfied with maintaining the average level of relationship, with the usual fights, conflict, resentment and baggage, this may not interest you. But if you’re ready to take your romantic relationship (or any relationship really) to the next level — where it grows, deepens and evolves you — this week’s podcast is for you. 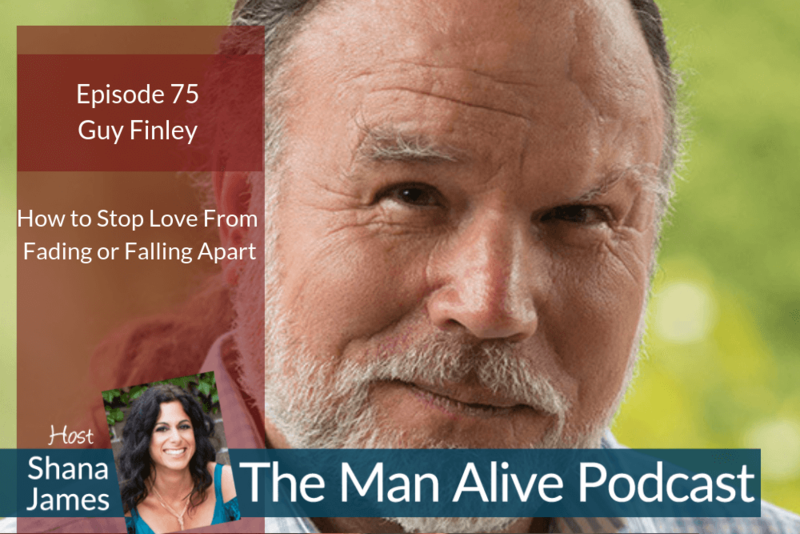 On today’s Man Alive podcast you’ll hear from teacher and author Guy Finley. He is one of those rare, wise people who sees SO clearly how things actually are, that it doesn’t make sense at first. I had to ask a lot of clarifying questions to really get what he was talking about. But when you slow down and listen deeper, the depth of his knowledge and experience starts to shift your understanding to see that peaceful, deeply connected relationship is possible! Guy has written more than 45 books and his latest book, Relationship Magic: Waking Up Together, blew my mind open to new and truer ways of loving. Guy is giving a special audiobook bonus when you buy his new book, Relationship Magic. I highly recommend reading or listening to it. Find the link below. Guy Finley is the bestselling author of more than 45 books and audio albums on self-realization, including “The Secret of Letting Go,” “The Essential Laws of Fearless Living,” and his brand new book “Relationship Magic: Waking Up Together.” He is the founder and director of Life of Learning Foundation, a nonprofit Center for Spiritual Discovery located in southern Oregon where he gives talks three times each week. Guy is a faculty member at the Omega Institute in Rhinebeck, New York, 1440 Multiversity, and is a regular expert contributor to Beliefnet and the Huffington Post.